[LEXINGTON, Ky.] – Dr. Pearse Lyons, founder of Alltech, will posthumously receive the prestigious Muhammad Ali Humanitarian Award for Lifetime Achievement during the sixth annual Muhammad Ali Humanitarian Awards, held Sept. 20 at the Omni Louisville Hotel in Louisville, Kentucky. The Muhammad Ali Humanitarian Awards were created in 2013 to publicly celebrate the greatness of people from around the world. The award recognizes individuals who are driven to become agents of change for the common good. For Dr. Lyons, making a positive difference in the world was an everyday reality of his personal and professional life. After moving with his young family — wife, Deirdre; daughter, Aoife; and son, Mark — to the U.S. from Ireland, Dr. Lyons founded Alltech in 1980 with the mission of improving the health and performance of animals, crops and people. The company’s endeavours are guided by the “ACE principle” — a commitment to having a positive impact on the Animal, the Consumer and the Environment. The Alltech ACE Foundation, a 501(c)(3) nonprofit organization, was established by Dr. and Mrs. Lyons to put their philanthropic passion into action. One endeavor funded by the ACE Foundation is the Alltech Sustainable Haiti Project, which supports two Haitian primary schools through the sale of Alltech® Café Citadelle. In Kentucky and Ireland, more than a dozen state-of-the-art science laboratories have been built at primary schools, inspiring students to have greater curiosity about the world around them. The Lyonses’ passion for education and the arts is reflected in the Alltech Vocal Scholarship Competition, which shines a spotlight on the hopes of young vocalists by awarding top performers with scholarship funds to join the University of Kentucky Opera Theatre. As an entrepreneur who started Alltech in his home garage and built it into a multibillion-dollar company, Dr. Lyons recognized drive and passion in others and encouraged them to dream big. The Alltech Innovation Competition emboldens young entrepreneurs to create businesses that help solve local issues. 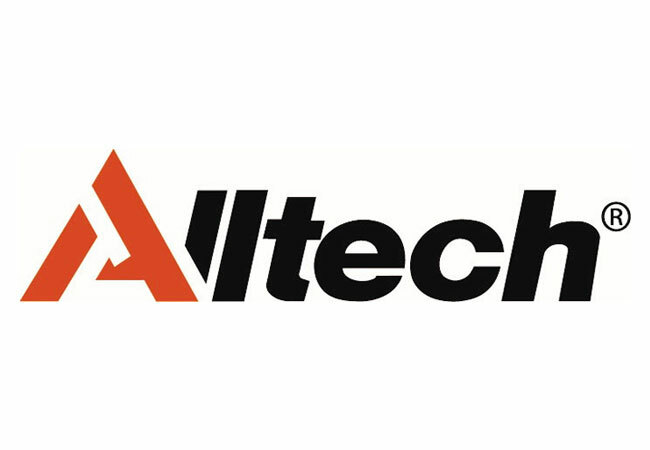 Winners are awarded $10,000 — the same amount with which Dr. Lyons founded Alltech in his garage. Whether through small acts of kindness or far-reaching scientific achievement, Dr. Lyons was committed to empowering others, inspiring lifelong learning and making a difference in the world — a mission he shared with the Muhammad Ali Foundation, of which Dr. Lyons was a long-time supporter. Dr. Lyons passed away on March 8, 2018. Mrs. Lyons, director of corporate image and design at Alltech, and their son, Dr. Mark Lyons, president and CEO of Alltech, will accept the award on his behalf during the ceremony.